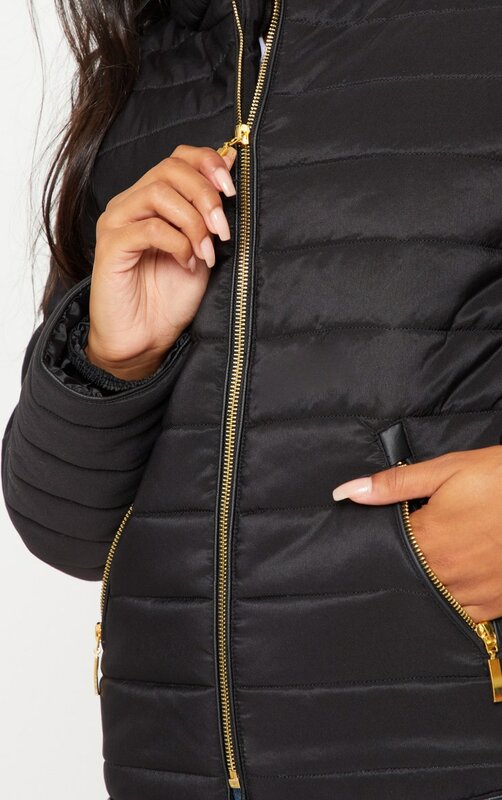 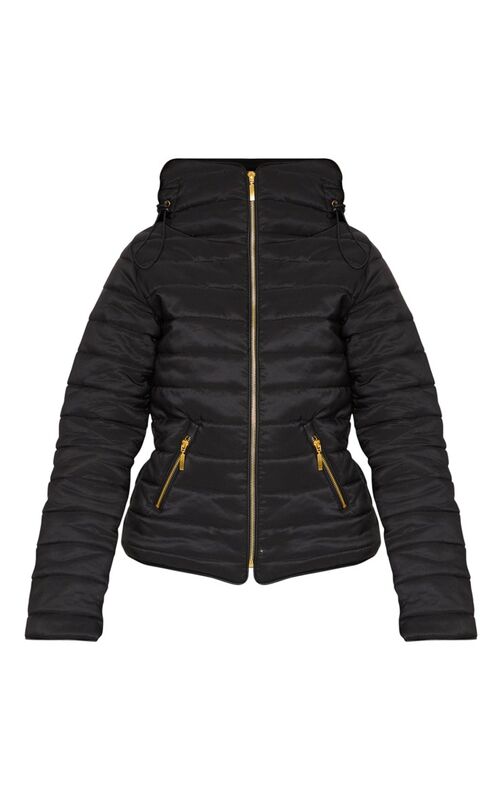 Keep contemporary and kill it in slick off-duty style with this black, super padded jacket. 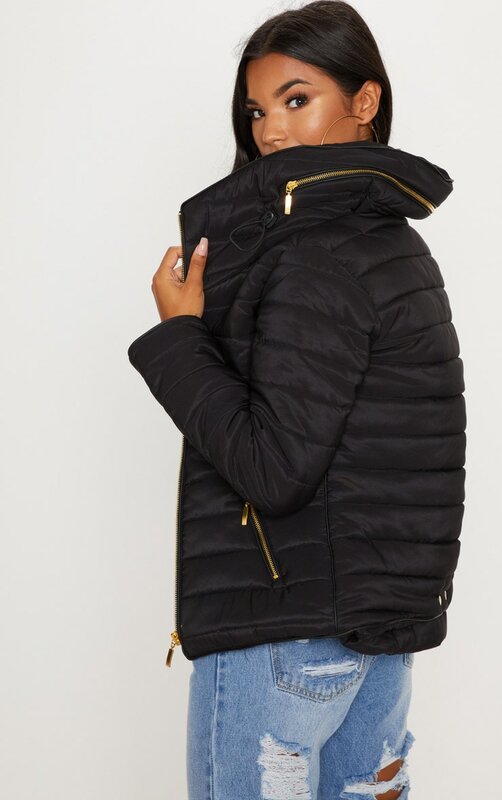 Featuring an inside fur collar, zip detailing and detachable hood creates an envy-worthy look. 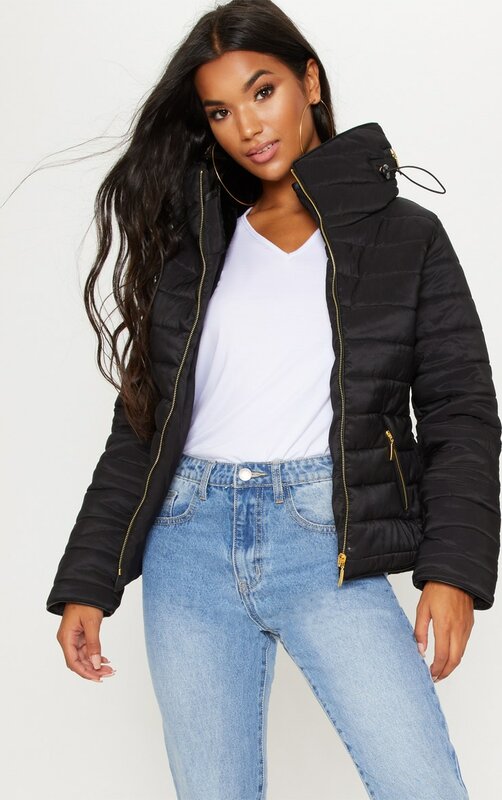 Models Height - 5ft 9.5"